If you are placing ads on your site in hopes of building some extra income, then you are going to be seriously disappointed with the results if you use irrelevant ads. This is especially true if you are running a cost per click (CPC) model because the chances of any visitor clicking on an ad that has nothing to do with their interests or your content are slim to none. When ads on your site are irrelevant, they do nothing but serve as a distraction to your visitors. It then becomes quite obvious that you are more interested in making a quick buck from them than delivering something of interest to the people who visit your site. By capitalizing on the short term income, you drive people away. A drop in your number of total visitors will have a negative impact on ad revenue and the overall value of your site. These visitors may never come back because of their bad experience, even if or when you take the time to add relevant ads and content in the future. One of the biggest issues with irrelevant ads is that they are very often misleading or controversial. They may even promote products and ideas that are fraudulent or unethical. Examples include fake news, click-bait headlines and questionable health products. This reflects very poorly on your site because it suggests to visitors that you are in agreement with what is being shown or you do not really care. All ads need to be properly vetted so that they do not give people the wrong impression of what your site is about. Let’s face it, there is only a limited amount of space available on any given site. You need to ask yourself if you are okay with that valuable space being taken up by ads that are really doing nothing for you in terms of revenue or visitor engagement. There are probably plenty of relevant advertisers out there who would love to use your space and talk to your audience, but they will simply go elsewhere when they see the types of your existing ads. Advertisers want to know how ads have performed on your site before they choose to place ads with you. If you have been running irrelevant ads, you may lose visitors, and you will almost certainly not be getting very many clicks, neither of which is appealing to a prospective advertiser. 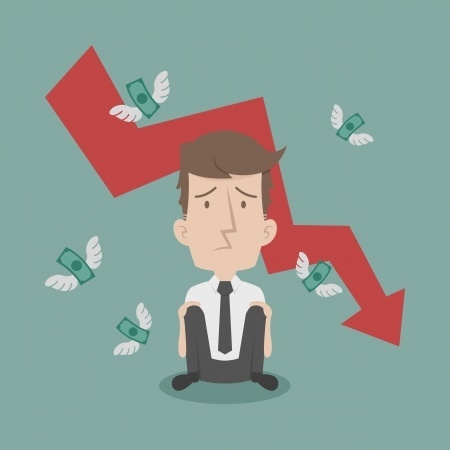 The price at which you can sell ad space will then drop, which will once again negatively impact your revenue.